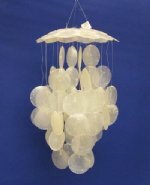 We have a wide selection of capiz shell wind chimes wholesale and capiz fish wind chimes wholesale to choose from in brightly colored capiz shells. 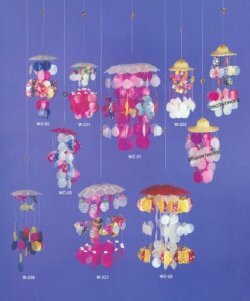 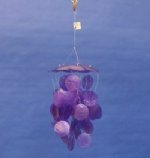 These beautiful wholesale capiz wind chimes are made out of real brightly colored capiz shells. 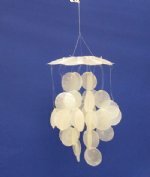 A great portion of our wholesale capiz shell wind chimes are fish wind chimes and solid white and purple and are perfect for beach shops looking for fish lover gifts and fish wind chimes for tourists and customers looking for seashell gifts.